Are you looking for an easy way show your employees they are appreciated?? 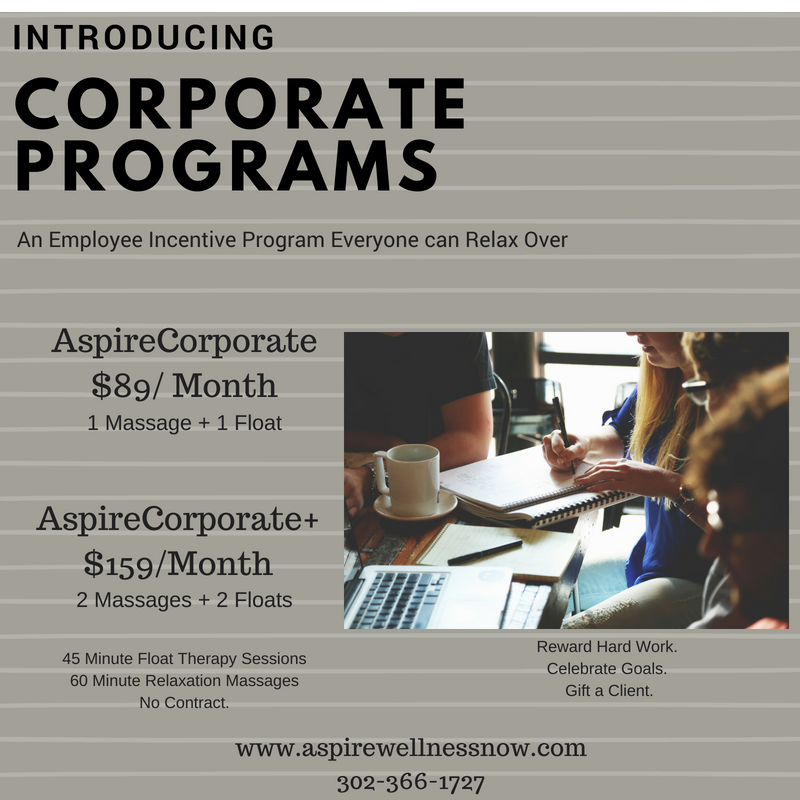 Reward up to 4 people a month with our AspireCorporate Plans! They get time to relax and know they are valued. ​You get a rested, hard working employee. Win win!